Not only are they rugged, but they’re also one of the easier vehicles to customize. Steve’s Auto Repair & Tire is equipped to perform alignments on stock Jeeps as well as Jeeps that have lift kits and larger tires. 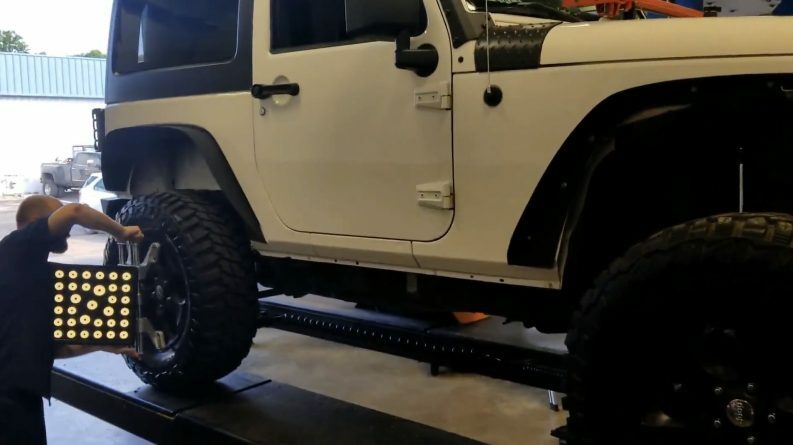 A lifted Jeep’s alignment can be impacted by the type of tires used. They can give it a pull as it’s driven down the road. The type of parts used in the lift kit is another factor. The higher quality lift kit, the easier it is to bring everything into specification. Steve’s Auto Repair & Tire checks the suspension components, such as ball joints and bushings. They also check the steering components, including tie rod ends. The alignment of a Jeeps should be checked when new tires are put on. It should also be checked once a year. Jeeps owners who go off-roading should have the alignment checked at least twice a year or when they feel that there’s an issue as they’re driving down the highway. Steve’s Auto Repair & Tire is asking those who use their Jeeps for off-roading to power wash underneath the vehicle before bringing them in for an alignment. This allows the repair shop to fix it more quickly.